One such moment came with a CCI group in 2017. One traveler asked, “How come Russians are so good to us wherever we go across your country, even when the relationship between our countries is so dire?” Silence fell over the room. Seemingly stunned for a moment, Dima quietly uttered his truth, “You know we have always had a love affair with America and Americans. From the very beginning this was so. And the remnants are still alive in our society and come out when people like you appear on our streets or in meetings.” His words fell on the group like a blanket of poignancy. In the video below, Dima seemed, for the first time, to try to educate us Americans about how it feels to be in his shoes …. in ordinary Russians shoes. Russians read our U.S. news on the Internet and keep up with much of what is going on in our country and their own. Russians on the whole are considerably better informed than most Americans. Many have English training in their backgrounds. Today even their metro stops are announced in Russian and in English. Presently, they are more worried about the future than are we. 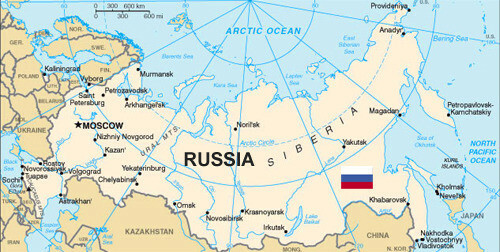 Our NATO troops and weapons are just minutes from Moscow and St. Petersburg. How would we feel if Russian troops were in the state next to ours? I hope you have time to take in Dima’s message. He was speaking his truth, not propaganda.